"Auntie Claire! Thursday! Little Farm! Cows! Little Farm! Mooooo!" LMC is one seriously excited 18 month-old. 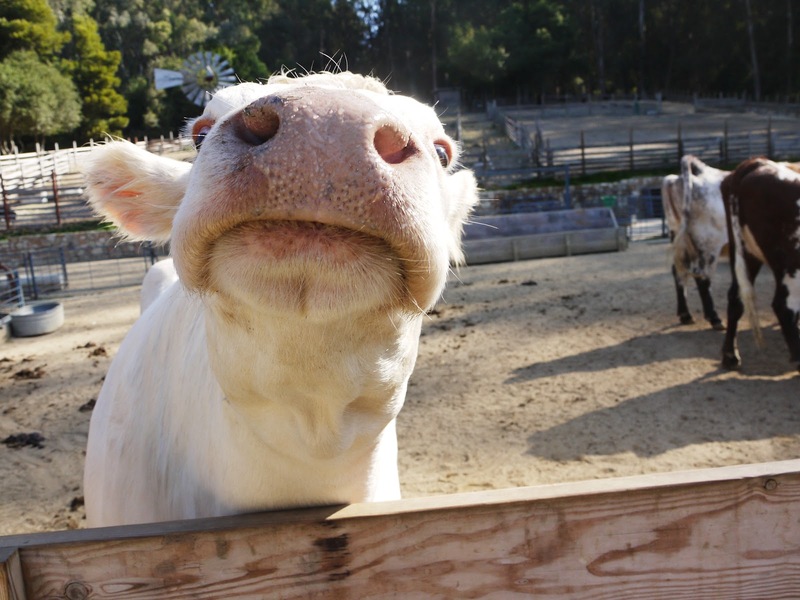 She and her mom are regular visitors to the Little Farm in Tilden Park, bringing lettuce and celery (the only treats allowed) to feed the cows, goats, and other residents. As a Bay Area native, I've been to the Little Farm more times than I can count, first as a child and now in my materteral capacity. It has remained much the same: the original red barn, built in 1955; the goats in their pens, eager for treats; the bunny hutches and free-roaming chickens. 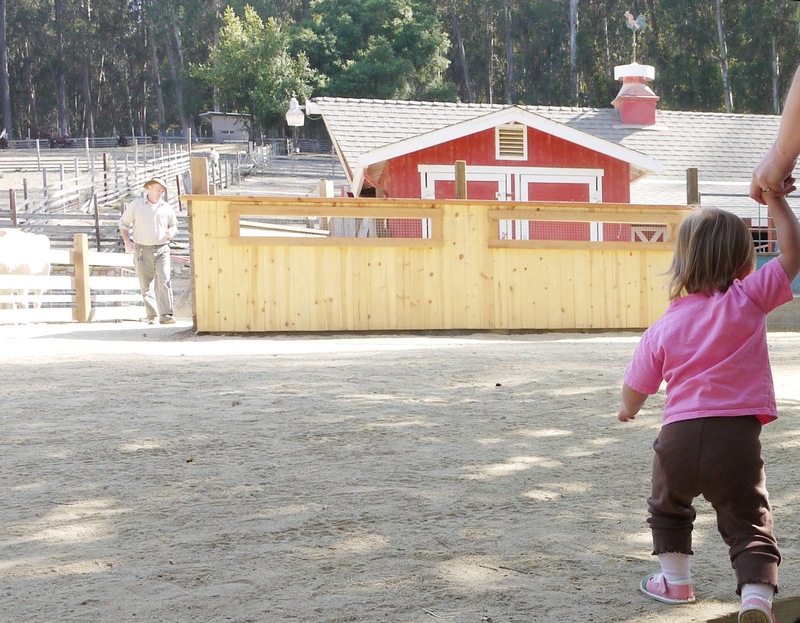 There are a few new features — the cows got a new barn some years back — but it's still a sweet, bucolic spot for children to meet farm animals. The Farmer, left, is happy to answer questions while he tends to the animals and shovels manure. By "meet" the animals, I mean pet them, feed them, and watch them poop. 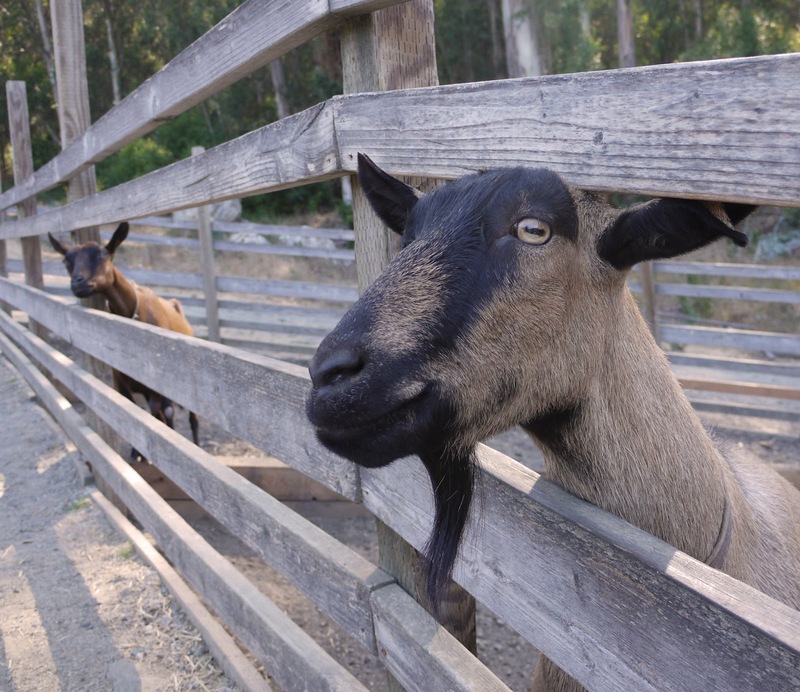 Depending on the season, you might see cows and goats being milked, or sheep getting sheared. This is NOT the place to learn how to castrate a goat or butcher your backyard chickens (though there are many urban agriculture programs where you can take such courses, including the Institute of Urban Homesteading, iuhoakland.com). 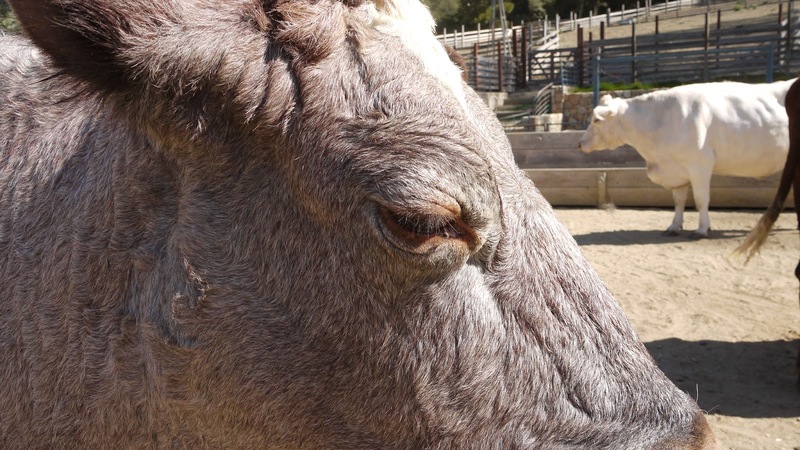 Most of the animals are friendly, and happy to be petted and fed. 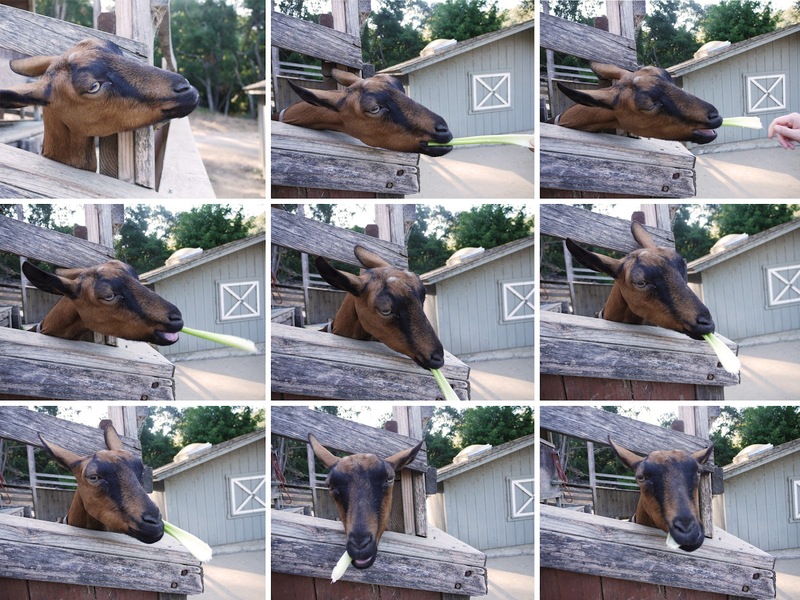 They're remarkably mellow around kids, even when a smaller child suddenly loses his or her nerve, drops the proffered celery stick, and starts shrieking in terror — afraid, I suppose, that an overeager goat might bite off their hand. I got a chance to chat a little with the Farmer. Something I never realized as a child — too excited about feeding the goats, I suppose — was the Little Farm's role in helping to preserve heritage varieties of livestock and crops. The farm animals are mostly traditional heritage breeds: Milking Shorthorn cattle, French Alpine goats, Black Welsh Mountain sheep, and so on. The animals are bred, and the farm welcomes new babies on a regular basis. The new Children's Garden, added in '05, grows heirloom vegetables, fruits, and herbs, from which day-campers help to gather seeds for the next spring's plantings. 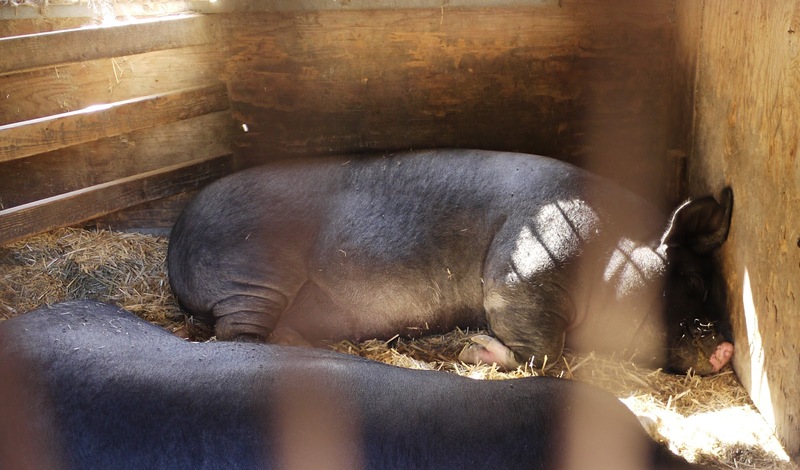 The piggies, getting a nice nap in. The farm welcomes a few litters of piglets a year. The roan (red & white) cow in the foreground is the grandmother of the white cow in the background. The Little Farm is open every day, free of charge. There's free parking. 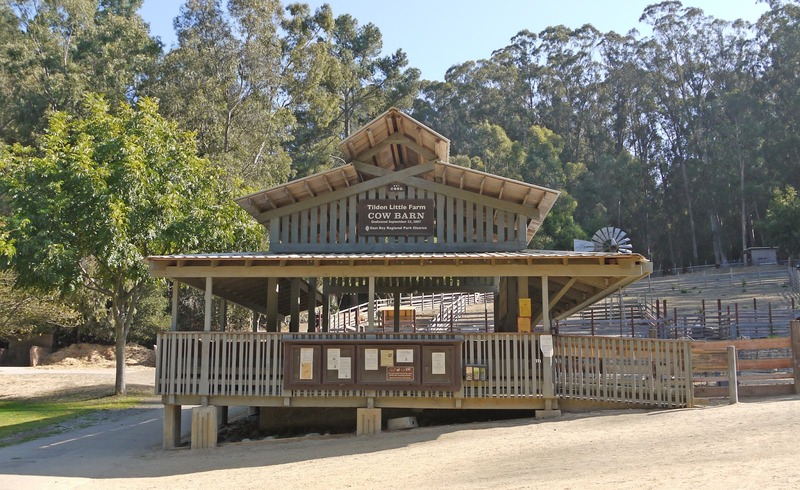 The Red Barn is closed at 3:30 pm, though you can visit the rest of the farm until sunset. If you want to feed the animals, bring lettuce and celery — for their health and safety, no other treats are permitted (they get plenty of food from the farmer). No dogs allowed.